In his February 1962 edition of Ramblin' Round, columnist Virgil Johnson provided information about an archeological dig conducted by Herschel Schenck. 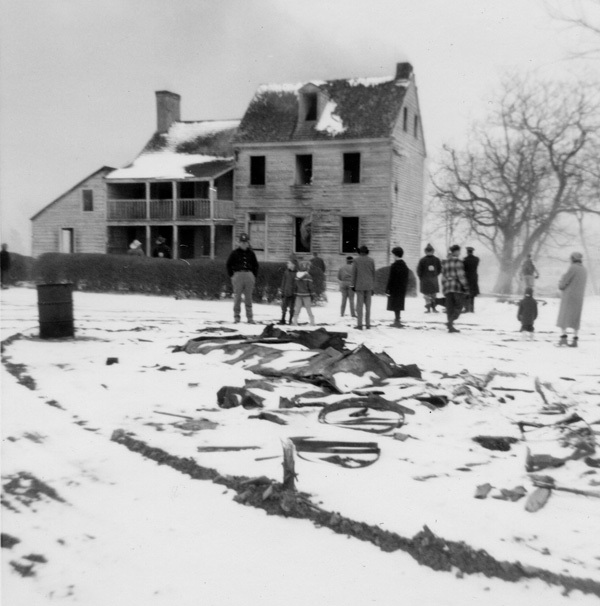 The dig took place in 1936 with permission from the tenants who lived on what was the "Ferguson Farm" on Mauricetown Road. In the column, Johnson mentions that "the Weatherby Farm, owned by Geo. 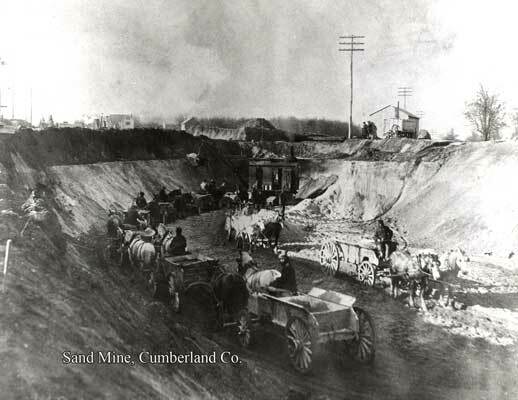 F. Pettinos Sand Co., is a sand and gravel pit, which was operated by the late James Golder, and his two sons Warren and William; 1910-1918." Johnson then adds: "This tract of land connects the northern boundary of the Ferguson Farm." With that information, it seems that with the Weatherby property on the northern border, the area south of this (Reach #13) was referred to as the Ferguson Farm, at least until 1950, when George Straubmuller purchased the land. Again, Virgil Johnson wrote: "George Straubmuller bought the Ferguson Farm on Mauricetown Road from Maurice Shaw, of Camden and he came into full possession in 1950 when he acquired it from the Tug Lizzie D. Shaw Company. Lizzie D. Shaw bought it from Frank Ferguson in 1912 and sold it to the Tug Lizzie D. Shaw Company in 1944. There are other columns and one photo from the Millville newspaper that give some information about the history of this property. In an interview in 2004, Richard Weatherby provided more perspective. Weatherby and his family occupied and farmed the Ferguson lands that lie near Reaches 12 and 13. Weatherby said that the Fergusons actually owned three tracts of land west of the Maurice River. The tracts were not contiguous. 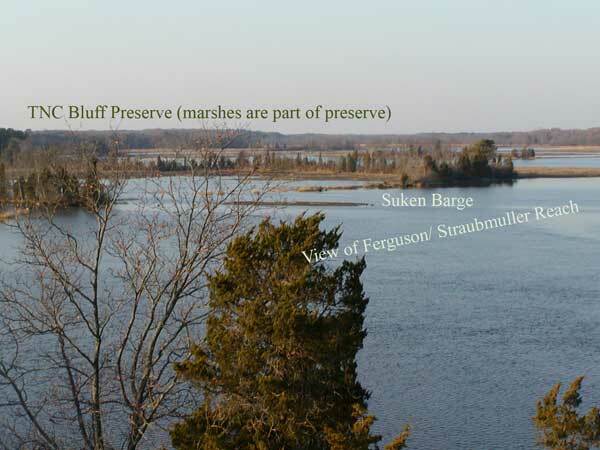 Much of the land between the Ferguson properties was owned by various sand mining companies at one time or another. One of the Ferguson properties was known as "The Orchard". Weatherby explained that when his grandfather, Ephraim Milton Weatherby, Sr. lost his Haleyville farm during the depression, he moved towards the Maurice River. "He moved here where Straubmuller is now, on the old Ferguson property," said Richard Weatherby. He reiterated, "Ferguson owned the property that is known today as the Straubmuller Farm." The second property owned by Ferguson bordered the Maurice River at the place that became known as "Owl's Cove". The third property owned by the Fergusons was apparently not too far down river from the site known as "Owl's Cove." Virgil Johnson offered that this property must have extended to nearly 300 acres, "nearly half of it meadows." 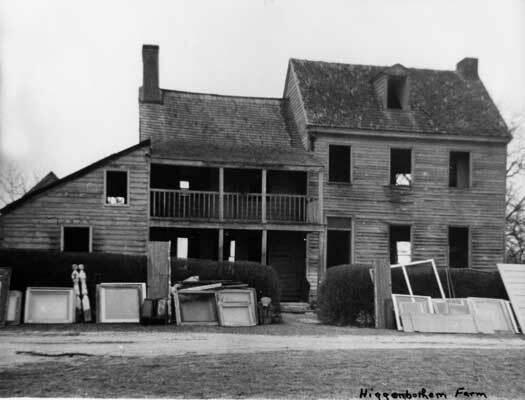 Johnson pinpointed a house on the property, writing that "the old Ferguson property which stood some 200 yards east of Mauricetown Road,…was erected prior to the War of 1812 by Thomas Ferguson, Sr."
This is the house that Ephraim Weatherby rented for his family. Richard explained that after losing his farm his grandfather never bought a piece of ground again. "He thought it was a poor investment," Weatherby said, explaining that his grandfather leased the house and the lands he farmed. According to Weatherby, this property was used as the headquarters for Pettinos' sand mining company. He recalled that on the property there was a house, and a big horse farm with "about 100 horses, at one time." Weatherby said that the horses were used in the sand mining operation. When the house on the property adjacent and just north of the 300-acre Ferguson tract became available, Ephraim Weatherby, Sr. moved his family closer to the acres he was farming. This was the property that included Owl's Cove. When the Weatherbys left the big house on the Ferguson property, Bill Higginbotham and his wife moved in. "When the Straubmullers bought the place, the Higginbotham family was living there," Richard said. As he wrote about the demise of the Ferguson house, Virgil Johnson mentioned that there had been several other houses, "which stood not far from (the) Maurice River." He said that the houses, similar in architectural style, were all built around 1800. "It was the custom in those years to build farm houses as near a navigable stream as possible." He continued, "Each of the farms on that side of the river was built closer to the river than to the road and there were piers in the rear of the houses to which boats were tied. The farmers used the boats to go down and across the river to Port Elizabeth, quite a thriving community in those days, where they did their shopping." 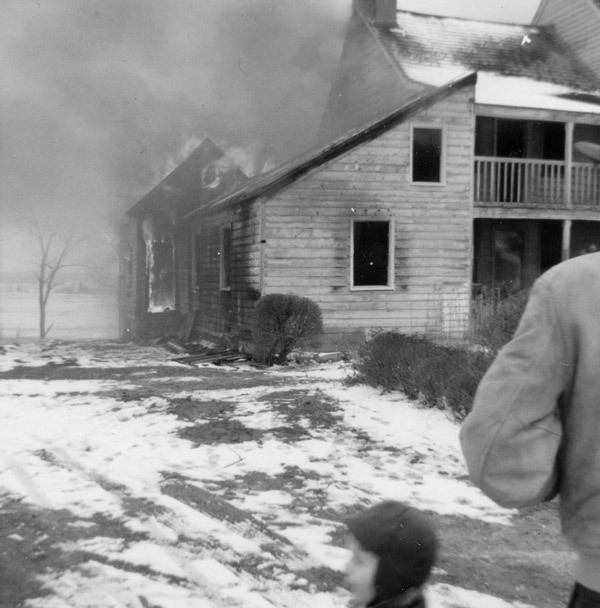 A photo from the Millville Daily Times dated February 5, 1962, shows the old Ferguson house in flames. 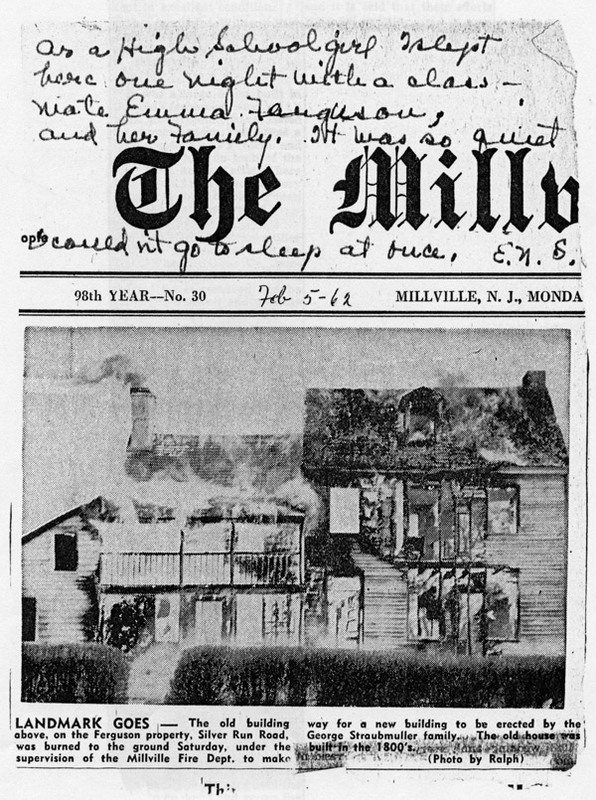 The caption reads: "Landmark Goes - The old building above, on the Ferguson property, Silver Run Road, was burned to the ground Saturday, under the supervision of the Millville Fire Dept. to make way for a new building to be erected by the George Straubmuller family. The old house was built in the 1800's." 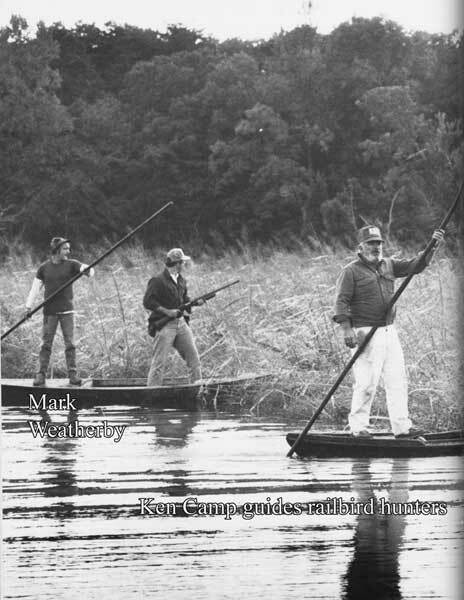 Port Elizabeth resident Ken Camp spent much of his time on the banks of the Maurice River with the Weatherby family. Camp talked about the hunting outings they went on together. "We went hunting as far as Straubmullers," Camp said, explaining that they hunted the land between that property, which was where the Weatherby’s lived, and Camp's farm in Port Elizabeth. When Camp was hired to take a group of hunters on a railbird expedition, he often asked the younger Ephraim Weatherby (Richard's father) and his brother Carl to "push", the method by which the hunters were taken, by boat, through the marshes to where the railbirds would be found. 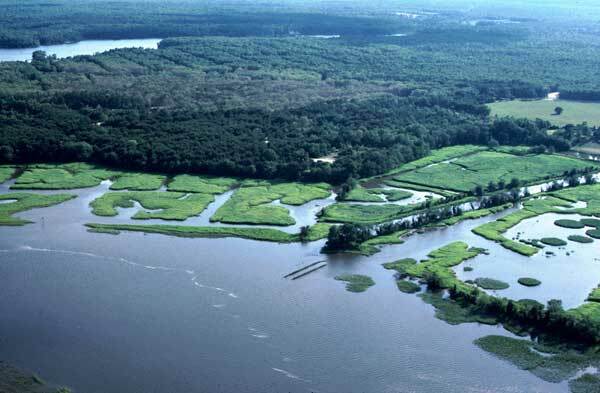 This tract of land along the western shores of the Maurice River has been associated with - and identified by the people who lived there - the Fergusons, Weatherby’s, and then the Straubmullers. The tract is also now part of The Nature Conservancy's Maurice River Bluffs Preserve. It will be developed into a public-use facility that will protect the globally significant plant and wildlife species that are part of the landscape. An interpretive component is planned to help educate the public about the history of this area along the western shore of the Maurice River. 6/06.